Amarist Studio along with Alejandro Monge, present a new piece within the “Too Much? 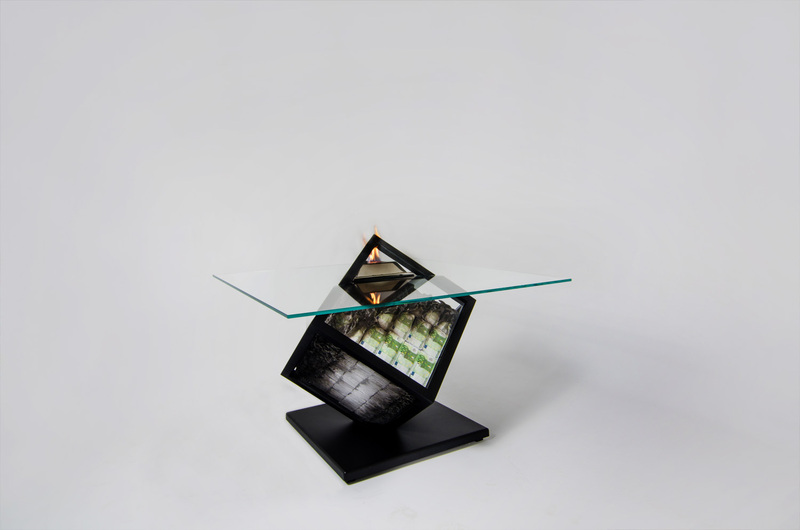 table” series. 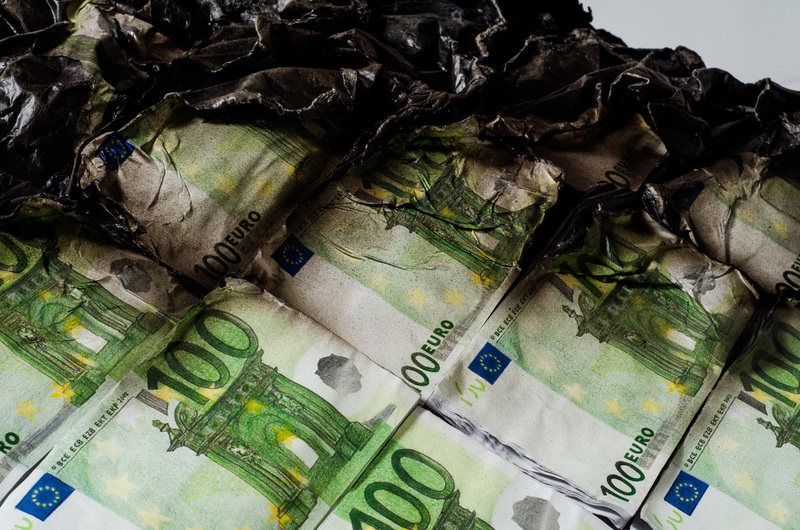 An artwork that invites reflection on the volatility of money and its true value. 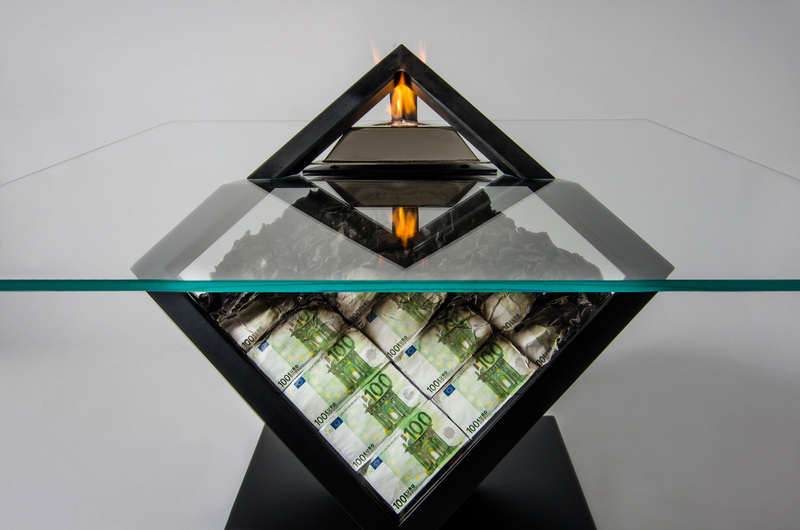 The piece consists of a concrete structure and a glass urn holding a pyramid of 100 €uro bills. 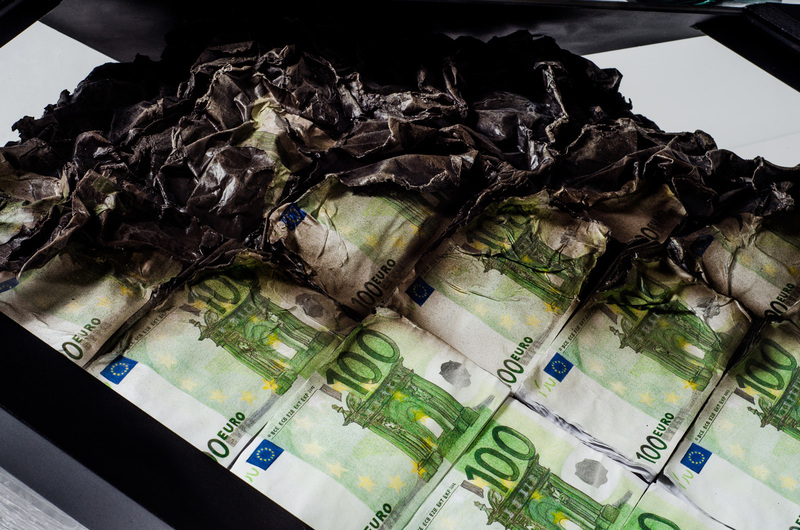 “Too Much?” captures the moment of combustion of the banknotes, enhanced by a real flame burning from the top of the pyramid. Height: 74 cm / 29,1 in.